This must-have solution for publishers and media companies allows them to offer up all manner of subscriptions - handled seamlessly through the same system. You can mix up free and commercial, messaging, digital and print subscriptions any way you might want to. It works by essentially combining 5 core Affino elements - Print Products, Subscription Plans, Security Groups, Catalogue Items, Mailing Lists, and the resulting Subscriptions. 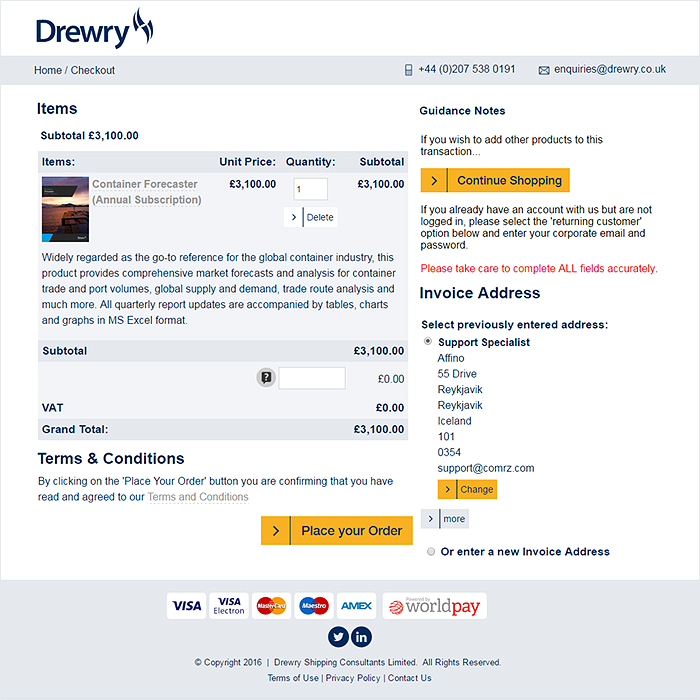 You can provide Digital Only, Digital and Print or Print Only, and include messaging subs - it is totally up to you how you price these, and over what time interval / period. This allows for extremely fluid Subscription Management - with everything clearly defined and managed within the same workflow. Most publishers still rely on wholly different systems for their messaging, digital and print offerings. Even when things superficially look connected, there are usually at least four back-office systems which handle each of the different subscription formats. Affino is fairly unique in combining the three so seamlessly together and allowing them to be managed and transactioned within the same workflow. 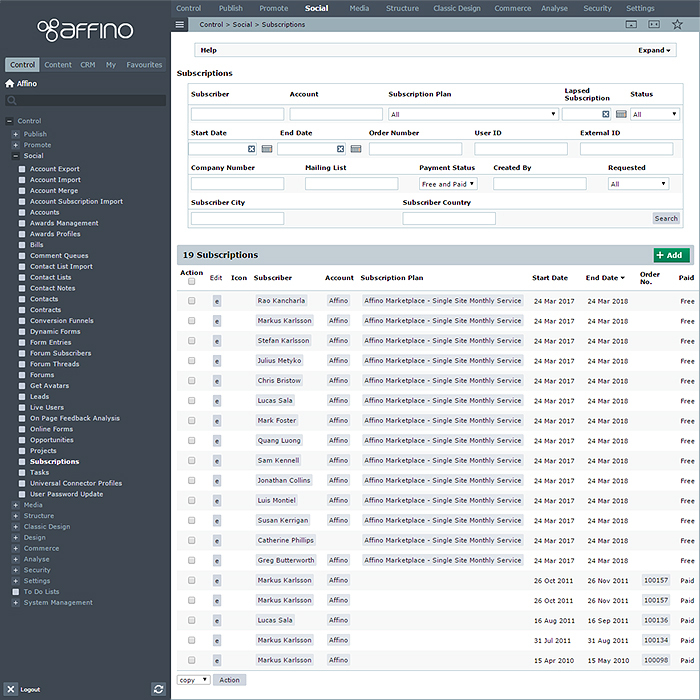 While other companies may be reliant on third-party suppliers and third-party systems and databases, with Affino you own the entire process and the relationship, and everything happens through your own Affino database. All these things streamline management of subscriptions and bring down overheads. 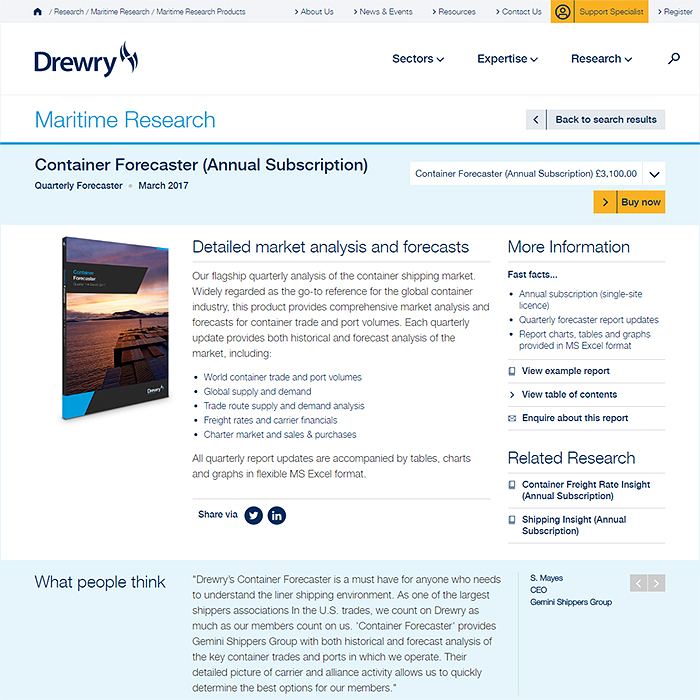 The fairly recent Drewry implementation is a great example of a modern global subscriptions sale business. The new site wraps up Affino Subscriptions in a highly elegant visual format with superb navigation and persuasive related resources. Selling over fifty different subscription offerings.